This highly-anticipated new release from LEGO is a must-have for all fans! Build your own pop-up storybook with two different fairytales that are easy to switch out! 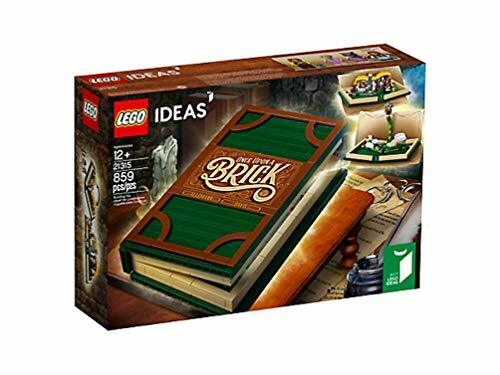 This is a big 859-piece LEGO building set to make a beautiful story-book-style box. Open the book to reveal one of two different pop-up story scenes: Little Red Riding Hood or Jack and the Beanstalk. The Little Red Riding Hood scene pops up to reveal Grandma's cottage. See the front of the cottage with forest plant details on the exterior. On the other side, an interior scene reveals a tea set on a table, and Grandma's bed -- in which a mini-figure can lay! For this scene, three minifigures are included: Grandma in her pink nightgown; the Big Bad Wolf in the same nightgown, now tattered; and Little Red Riding Hood herself. The other pop-up story is Jack and the Beanstalk. This pop-up scene shows treetops above the clouds, with an ingenious tall pop-up castle. This set includes a minifigure of the Giant (which is a regular sized minifigure) and a microfigure of Jack. You get bricks for both scenes and they can easily be changed out without an entire breakdown or rebuild. The exterior of the book has an awesome "Once Upon a Brick" printed brick plate. It has beautiful golden detailing. 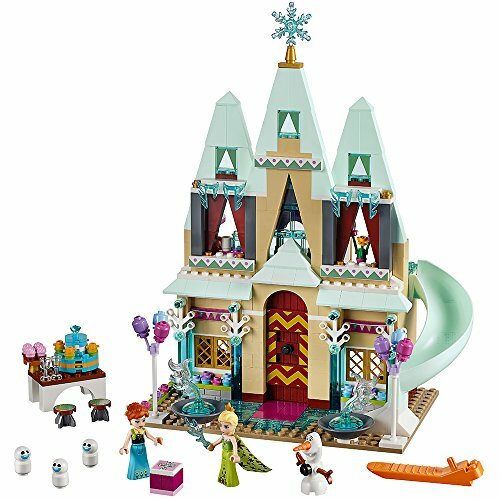 This is an awesome LEGO set for collectors and fans of LEGO that will surely be a hot item for the holidays. Don't miss out on this awesome LEGO Ideas set! 10 Spooky Halloween LEGO Sets for Awesome Halloween Fun! If you're looking for some fun Halloween activities that don't involve asking strangers for sugary treats, what could be more fun than a themed LEGO set? Spooky LEGO Halloween sets would be great interactive party activities... Check out the LEGO Halloween fun!